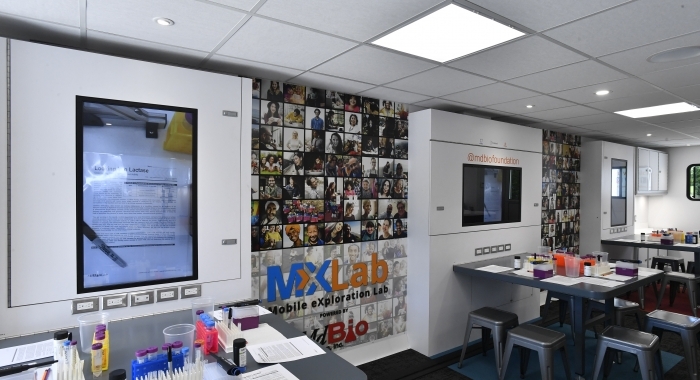 Crime scene investigation, DNA extraction, alternative fuels and bioengineering are just a few of the classes and lab activities available in the Mobile eXploration Lab (MXLab), the country’s largest and most advanced mobile STEM education laboratory. 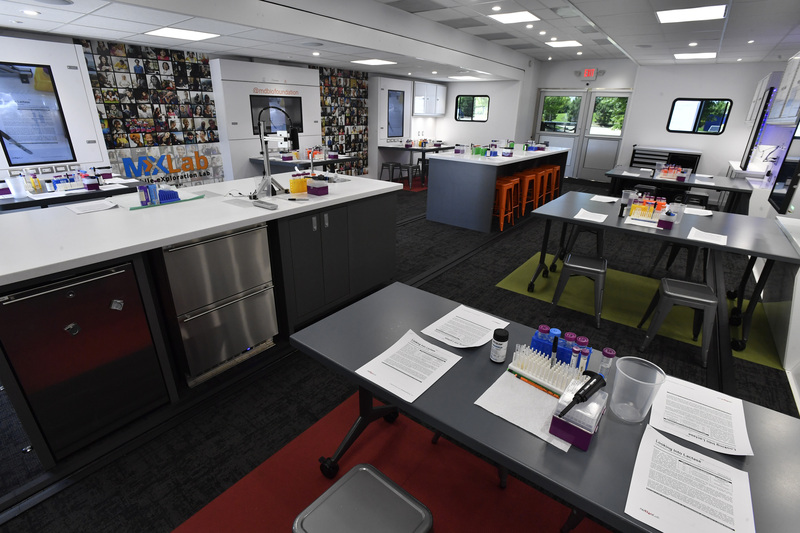 “Triune’s years of experience manufacturing high-end trailers helped us create an impressive, flexible vehicle that accommodates more students, provides a space for events, and capabilities to expand our curriculum,” said Brian Gaines, CEO of the MdBio Foundation. 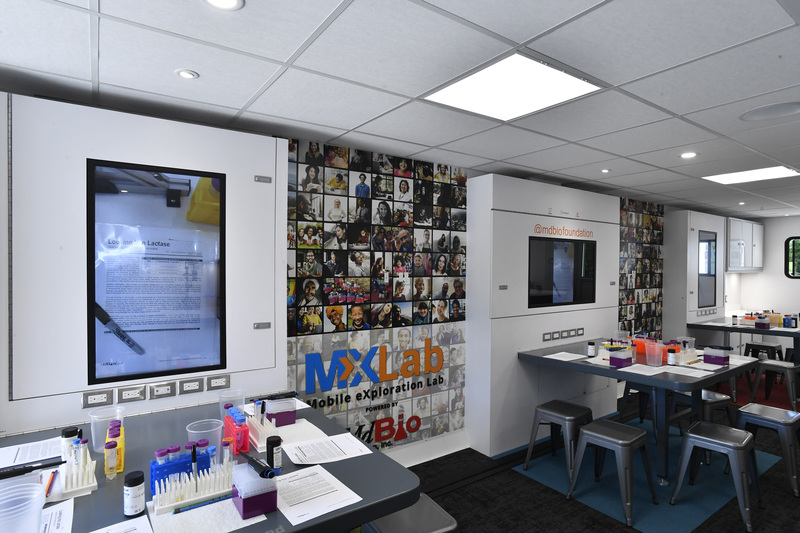 Triune Specialty Trailers worked closely with Maryland non-profit MdBio Foundation to create the MXLab. 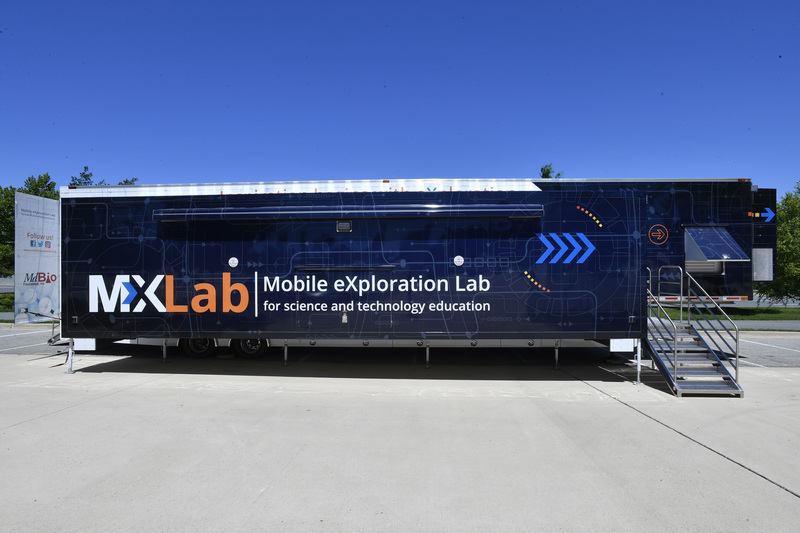 In the 2017/18 school year alone, ten thousand students at 35 schools will be exposed to exciting science projects and will have the opportunity to explore a career in STEM. 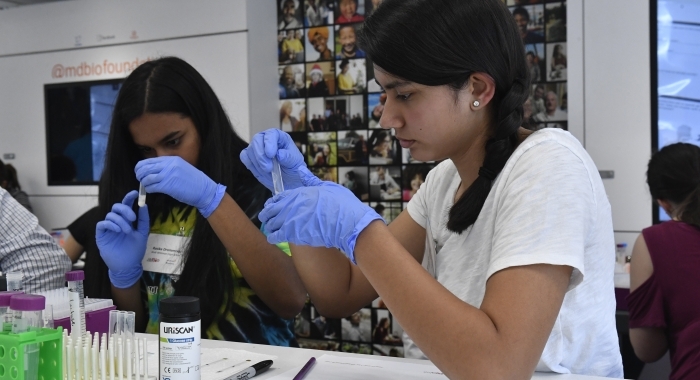 At nearly 1,000 s.f. 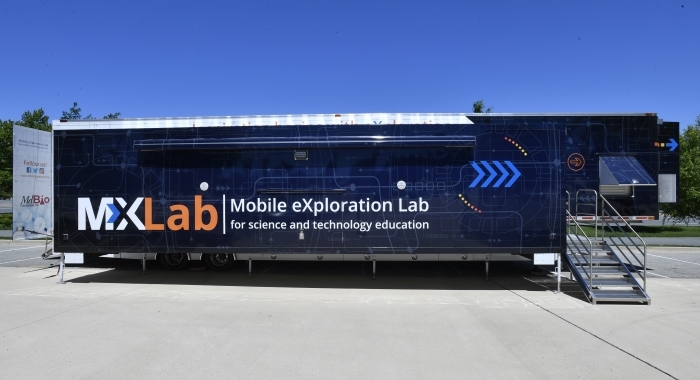 and 53’ long, the double expandable trailer can fit up to 42 students and is outfitted with advanced technology. 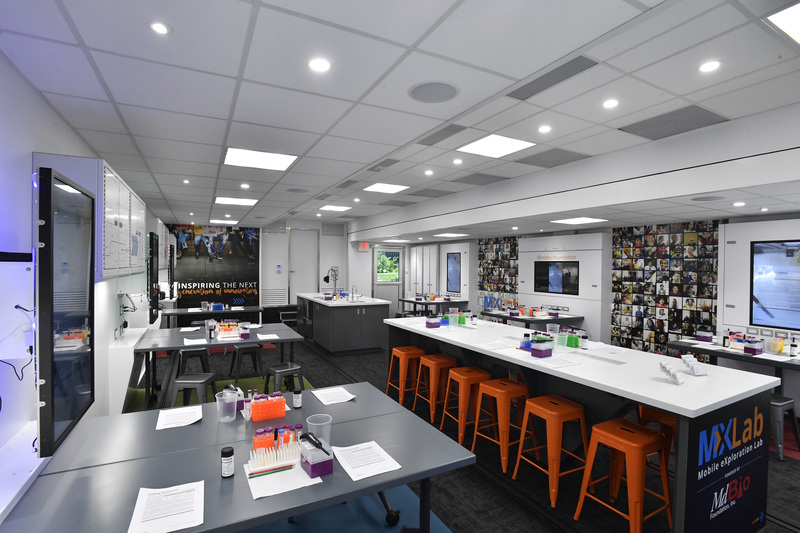 The lab features six interactive flat-screen monitors, laboratory amenities like electricity and water and over one mile of Cat 5 cabling for computers and internet. 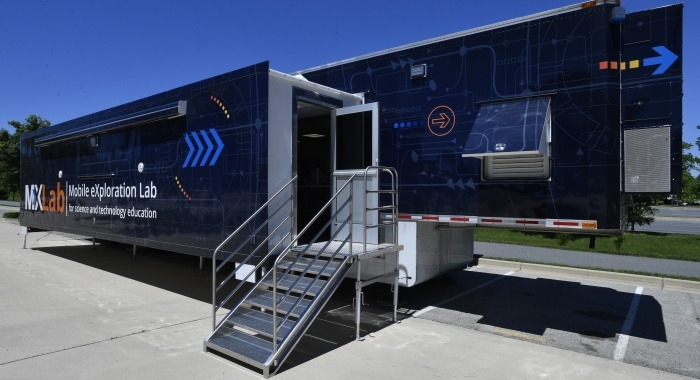 The trailer also features eye-catching graphic wraps. 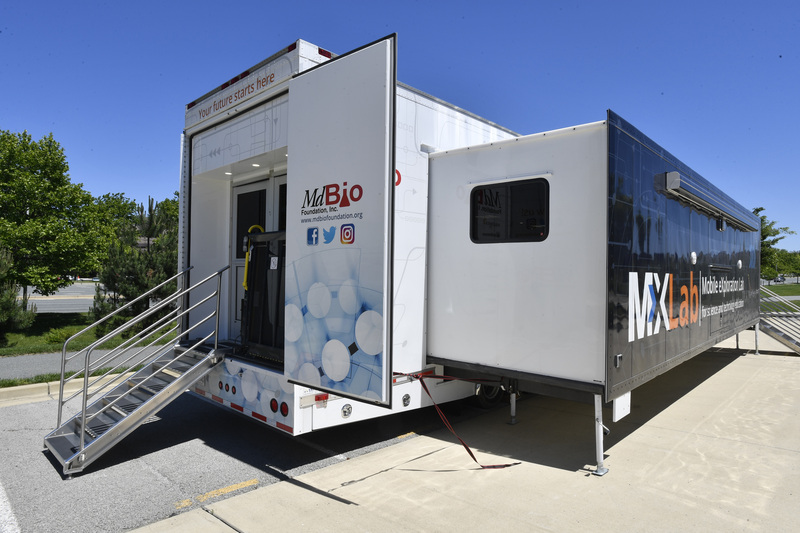 MdBio’s previous mobile lab reached about 150,000 kids over the course of 15 years with registrations filling up with in 10 to 15 minutes for the entire school year. 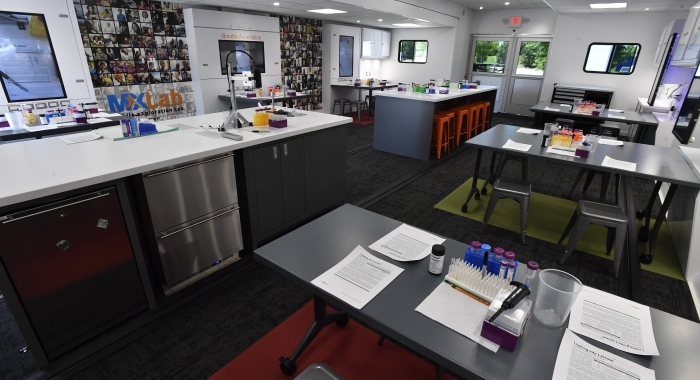 “Teachers are already asking us when they can book the new lab. 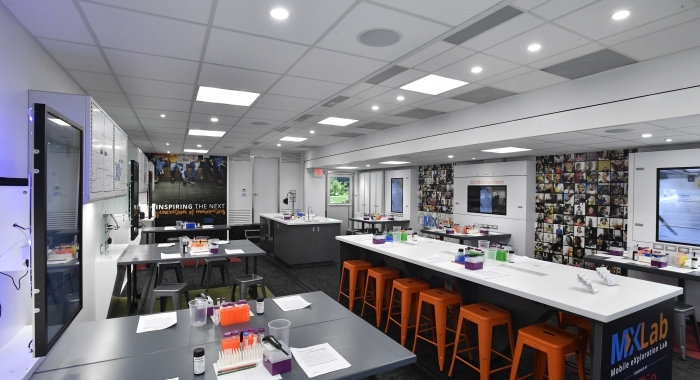 The word-of-mouth has been fantastic…we have a lot of visitors coming on board and saying that they’ve heard about the MXLab from other teachers,” said Pelletier. 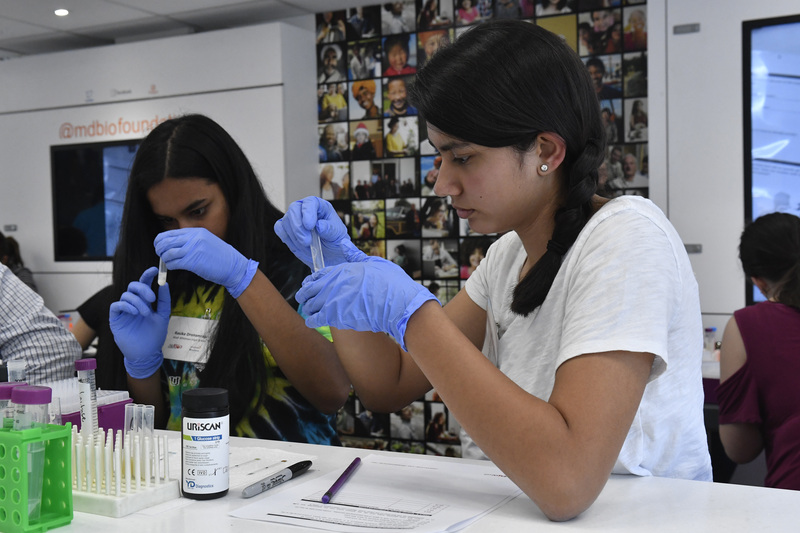 The MdBio Foundation, Inc. was founded in 1991 and began producing educational programs aimed at students to raise awareness for science careers in 1997. 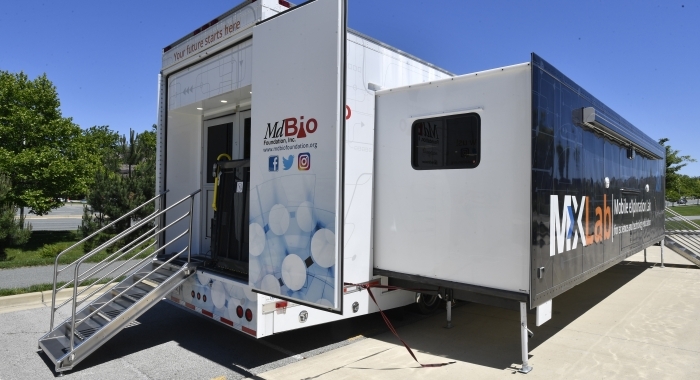 In 2003, MdBio launched their first mobile outreach program that has served more than 150,000 students. 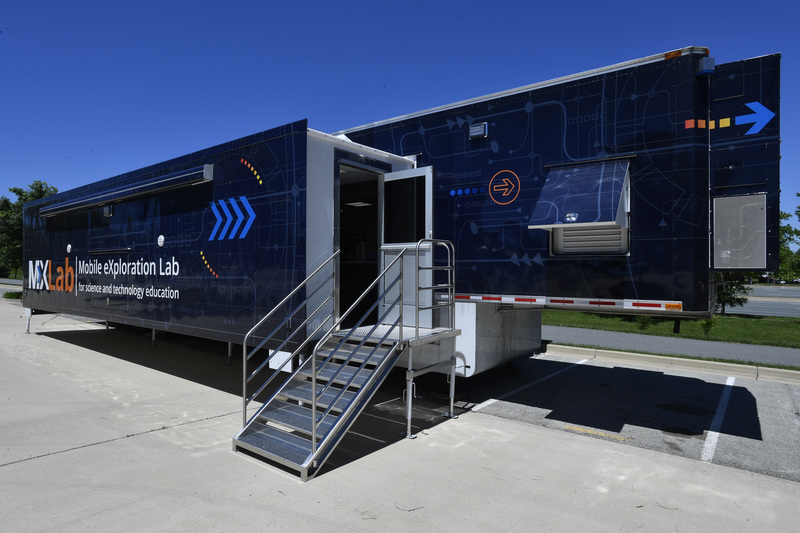 In July 2016, Triune Specialty Trailers won a nationwide bid solicitation to build their new MXLab.